ANDREW BUTLER - HEAD PGA PROFESSIONAL. Andrew has been the Club Professional at Kingsdown GC since 1993. After qualifying as a PGA member at Cotswold Hills GC in 1978 he became an assistant at the world famous Royal Birkdale GC in Southport. During his time there he qualified for and played in the Open Championship in 1983 along with gaining full playing rights on the European Tour for both 1983 and 1984 after 2 successful trips to the qualifying school. Andrew's list of success also includes 11 assorted Professional competition wins including 4 course records. Since joining Kingsdown Andrew has concentrated on delivering a first class teaching service with pupils ranging from raw beginners to county standard amateur players and fellow professionals along with a Professional Shop that is widely regarded as one of the most competitive in the area offering all the traditional services along with the very best equipment and advice. MICHAEL REEVES - PGA QUALIFIED ASSISTANT. Michael has been the Assistant Professional at Kingsdown GC since 2008. Michael was once a Junior member at Bath GC where he was he achieved the notable double of Club Champion AND Junior Club Champion Michael qualified as an full PGA member in 2006. As a professional Michael has recorded 2 wins the most recent of which came at West Wilts GC in the Winter Series of events where Michael enjoyed a 4 shot winning margin courtesy of his outstanding 66. Michael's enthusiasm for coaching has allowed him to build and excellent reputation for teaching players of all ages and abilities. LIAM SNOOK - PGA TRAINEE ASSISTANT. Liam joined Kingsdown GC as a PGA Trainee Assistant in 2015. A past junior member at Cumberwell Liam has decided to do his PGA training at Kingsdown because of its better facilities, all year round playability and career opportunities. Liam will be devoting his time to grow the Junior section. Always full of the latest equipment and clothing ranges from the leading manufacturers including; Ping, Titleist, Callaway, Mizuno, TaylorMade, Footjoy, Galvin Green, Sunderland, Under Armour and Glenmuir Kingsdown Professionals shop has gained an outstanding reputation for being the place to buy all your golfing equipment. With expert advice always available, a price match promise and honest, non-commissioned sales people you can be sure of getting the correct equipment at a great price. We stock an extensive range of demo equipment and use only the very best testing facilities when custom fitting your equipment. Our GC2 launch monitor has recently been enhanced with the addition of a HMT [Head Movement Technology] unit which captures the precise impact/launch data enabling us to optimise every individuals launch conditions to maximise everyones shot quality. COACHING AND THE GOLF ACADEMY - LEARN, IMPROVE, ENJOY. With over 30 years coaching experience our Head Professional, Andrew Butler has earned an enviable reputation as being a highly skilled and knowledgeable golf instructor best placed to get the most out of each individuals game. Our new driving range and golf academy opened in 2013 and continues to go from strength to strength. We offer a number of coaching packages all aimed at delivering exceptional results for all of our pupils from raw beginners to experienced, scratch players and everyone in between. 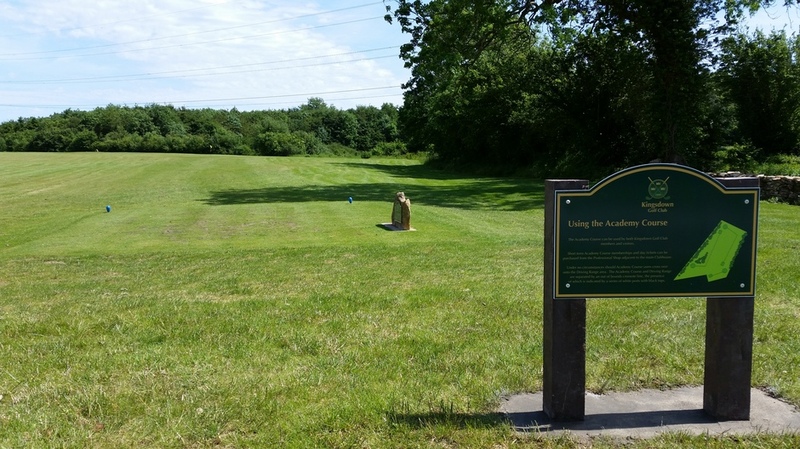 A one-off, introductory lesson for £9.99 is available to anyone interested in trying golf and we also run a Saturday afternoon "roll-up" coaching session starting at 2.00pm with a weekly Junior coaching session held on Sunday afternoons throughout the summer.